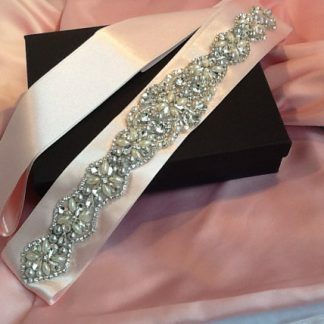 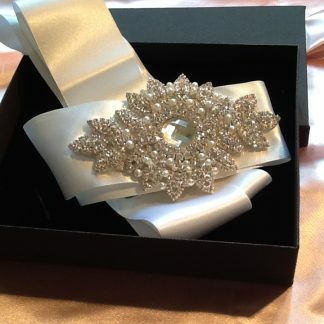 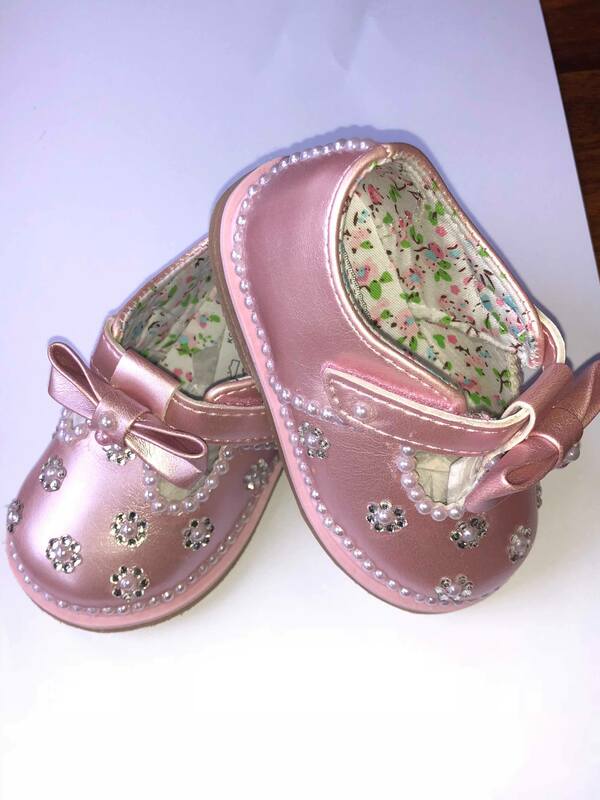 Home / Weddings / Wedding Clothing / Flower Girl Shoes / FLOWER GIRL SHOES. 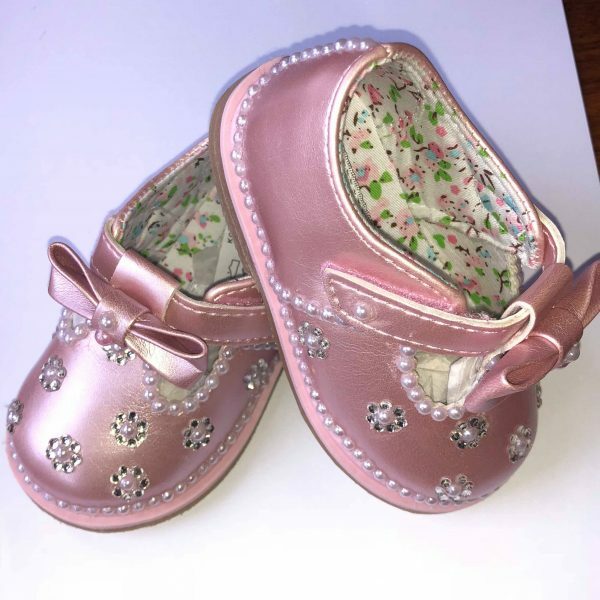 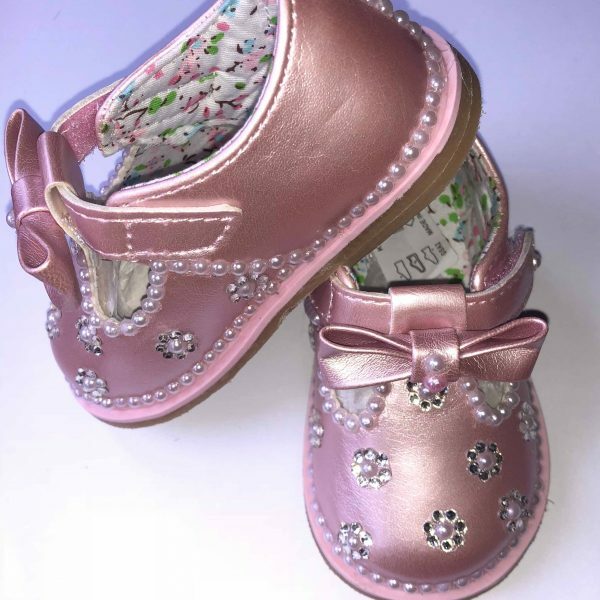 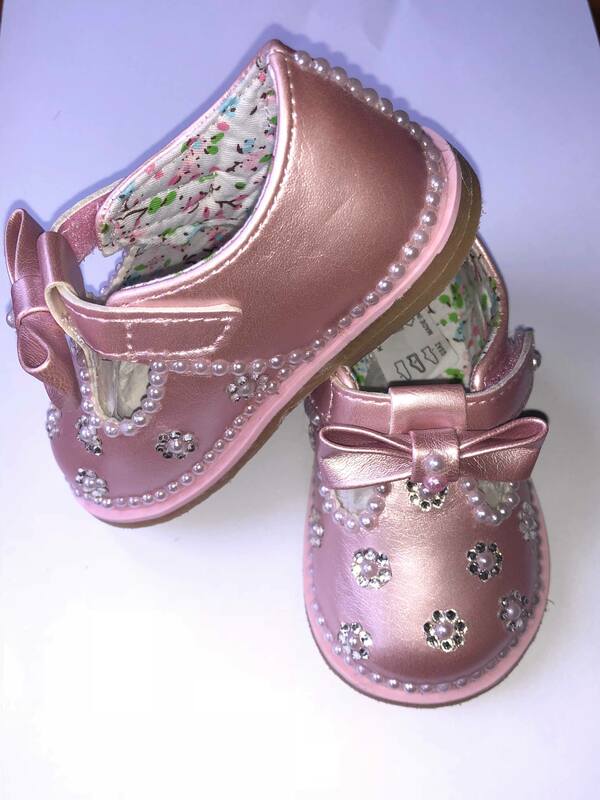 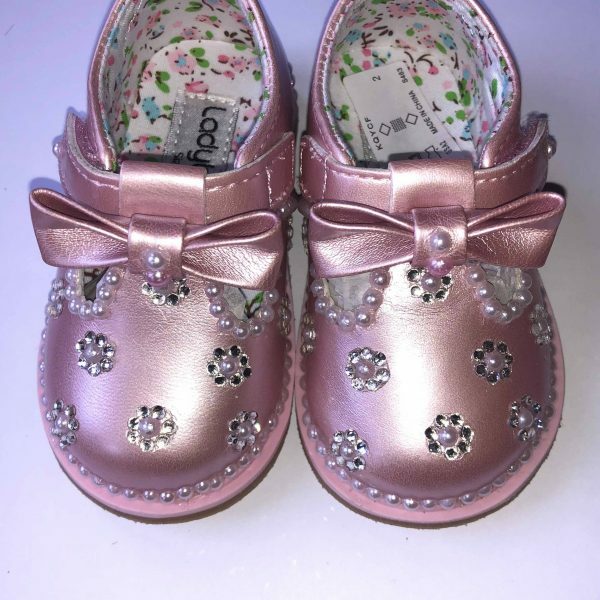 PINK LADYBIRD SHOES CUSTOMISED WITH SWAROVSKI CRYSTALS &WHITE BEADS. 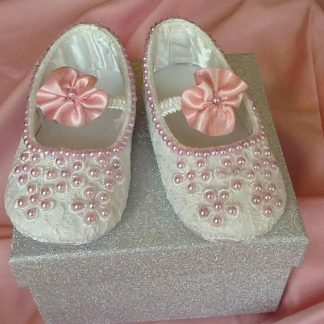 These are occasion shoes not rough and tumble ideal for weddings or keepsake shoes. 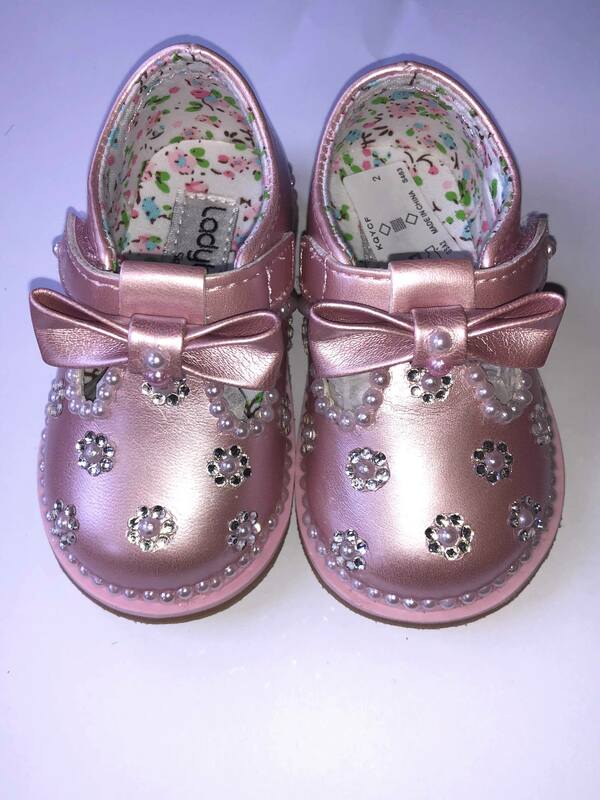 The shoes have a Velcro fastening.